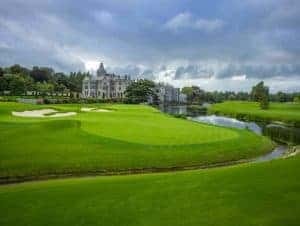 Golfscape has just completed a list of the World’s Top 100 Golf Courses and Limerick’s Adare Manor has been placed in the top 10. Golfscape is an online golf reservation service founded in London by Raghad Mukhaimer and Michael Galasso. The company provides services to find, plan, and book golf in 50 countries. The golf courses that have been selected to feature in the ranking are those that offer unique, memorable, and luxury experiences worldwide. From the enchanting fairways of traditional links in Ireland to the Mediterranean greens at the glamorous destination of Marbella, Golfscape have travelled far and wide to bring you the world’s greatest golf. Limerick’s Adare Manor course, favourites with many to host the 2026 Ryder Cup, has placed at number 9 on the list. The Limerick venue is listed alongside some of the most famous names in golf, with the Old Course at St Andrews topping the list as number 1. Other world renowned golf course listed in the top 10 include, Royal Dornoch, Scotland, Royal County Down Golf Club, Ireland, Pebble Beach Golf Links, US, Ailsa, Trump Turnberry, Scotland, Spyglass Hill Golf Course, US. (with the permission of the Limerick Leader).